With a gorgeous Victorian-esque design, rich walnut finish, and faux marble trim combined, this fireplace offers a timeless design. Add the romance and beauty of glowing fire and you have a versatile electric fireplace that is sure to compliment any room in your home. 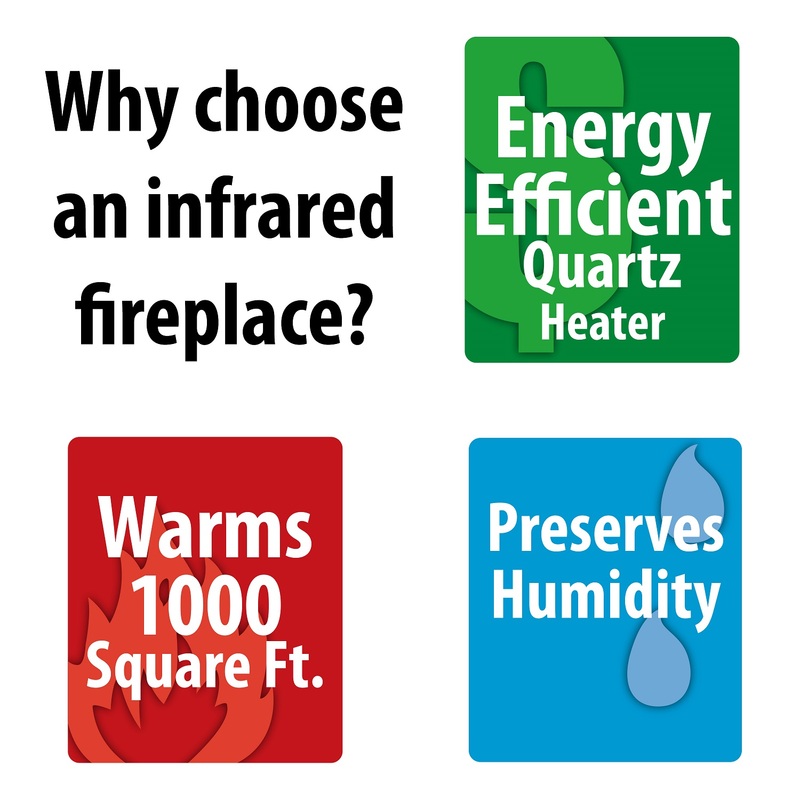 To sweeten the deal, this fireplaces does not require a specialized contractor or electrician for installation, you can instantly remodel your home with this fireplace without the expenses and or mess. 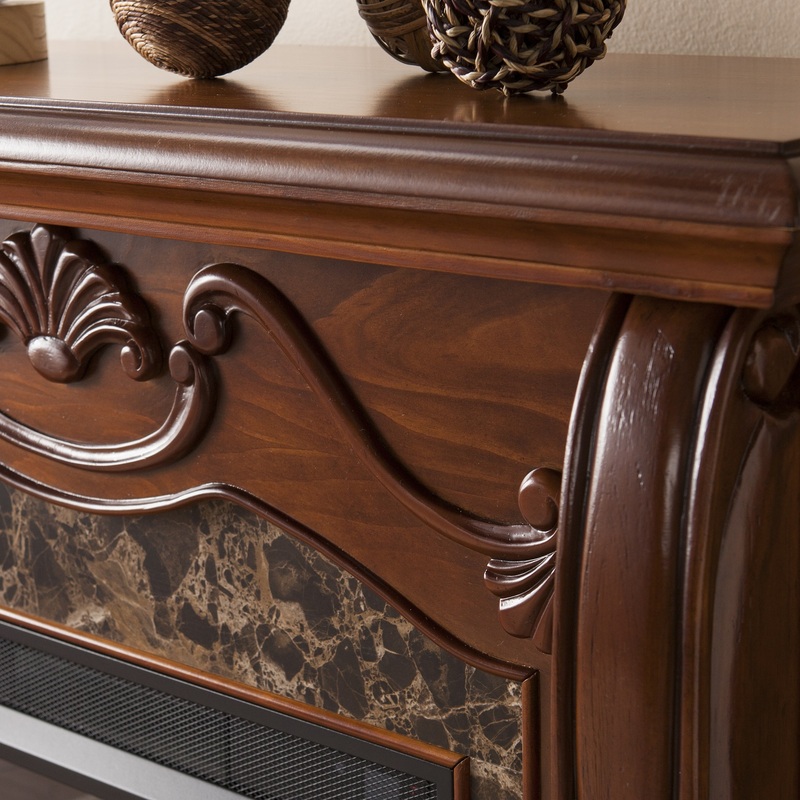 This rich walnut finish fireplace features pilaster wood corbels, luxurious faux marble, an intricate center medallion, and fine hand-carved details. 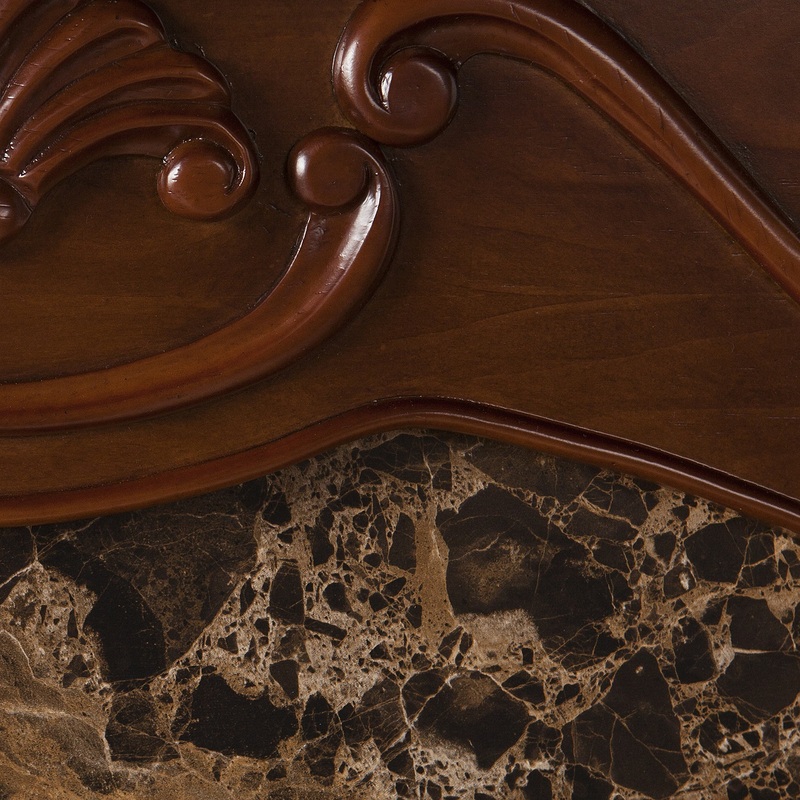 All exquisite elements of its unique design that makes it a beautiful focal point to design a room upon. The Taylor Fireplace requires no ventilation and or permanent wiring, simply plug the standard three prong plug into any wall outlet and instantly bask in the romance of a realistic fireplace. The electric insert features glowing embers and a realistic flickering flame effect - multiple levels of brightness than can be adjusted with the convenient push of a button. Along with the adjustable thermostat, this fireplace has the option of being used only for its ambiance with or without heat. Ease of assembly and convenience are just a few of the reasons why this fireplace is perfect for any home, office, bedroom, or living room. 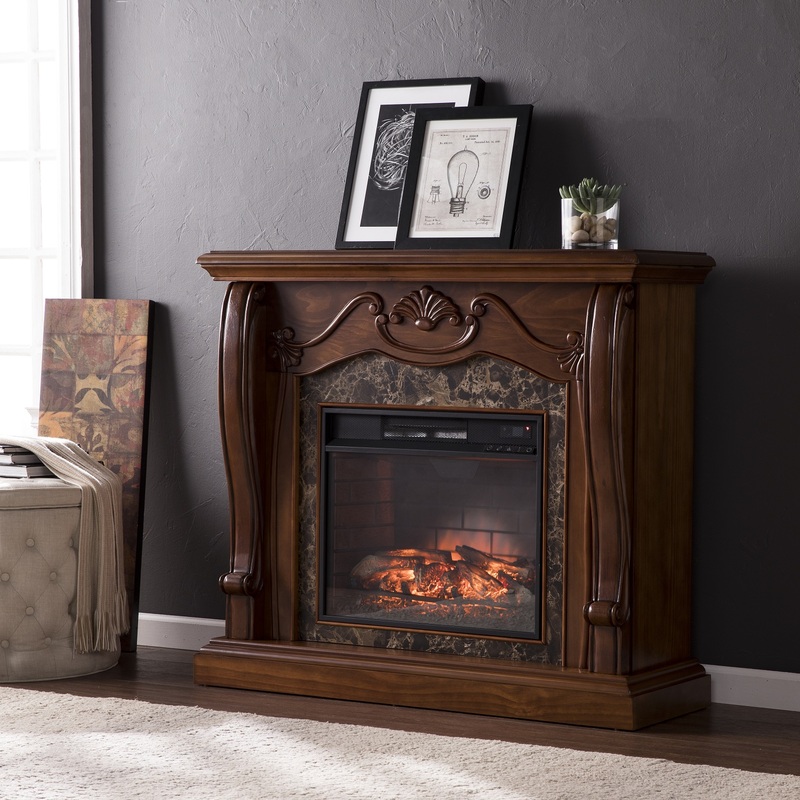 The elegant, ornate style of this fireplace works well in transitional and traditional homes. Please note: Our photos are as accurate as possible, but color discrepancies may occur between the product and your monitor. The handcrafted touch of artisan skill also creates variations in color, size and design; slight differences should be expected. Can this fireplace be made for a gel fireplace? Yes, you are welcome to customize and or modify it any way you wish. Warranty may be void for any custom modifications. As of our first week of owning the Cardona, we are 100% satisfied with everything about it. There were no "surprises", and everything arrived intact! We were especially impressed with the heat that the fire box throws out, and the adjustment controls for the light, flame, etc. are really "fun" (As well as practical). Thank you so much. We were a bit surprised at how much there was to assemble, but quickly organized everything without any pitfalls along the way. We are "fans" of this great product; not to leave out the fact that it is a very, very "attractive" unit as well. Thank you! Don & Shirley Schroeder; Yuba City, CA.